No need with the place you guys have, that's a dream setup! 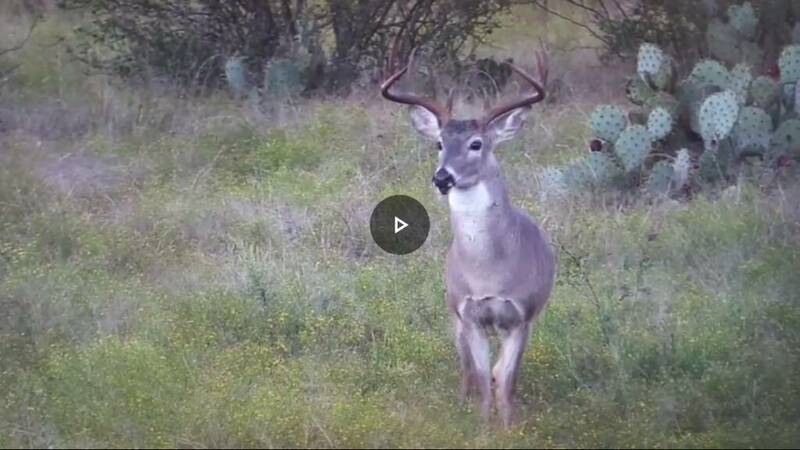 Just the fact your deer have such little pressure and can reach a ripe old age is incredible! I had a 600 acre place up in New Waverly for 26 years. We finally got control about 10 yrs ago and managed it pretty hard. We killed 2 160’s. One would have been in 170’s but he broke off a 10” dagger. 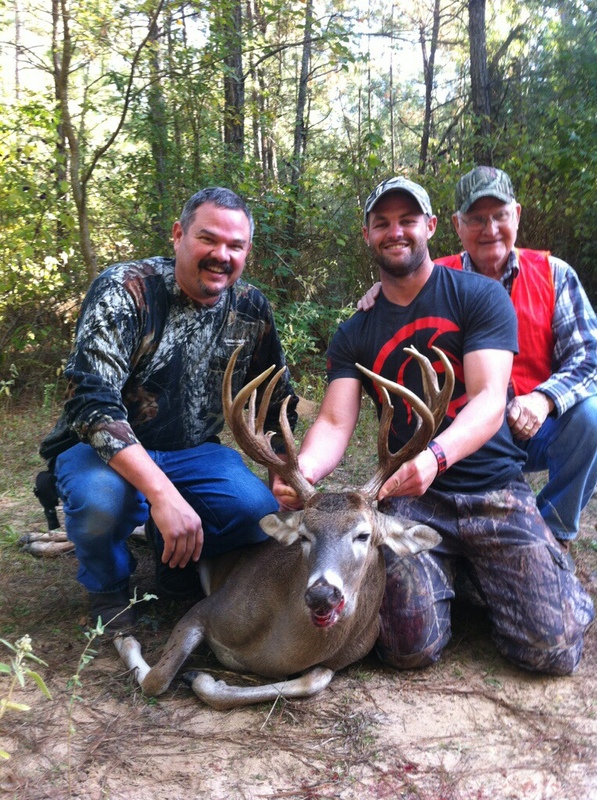 We grew a deer that went 184” that I hunted religiously but was killed by a neighbor. Sadly this place sold this year to be developed. We are killing 150’s at our house 3 miles down the road but nothing to touch 160-170 yet. Not bad for some Montgomery county deer. 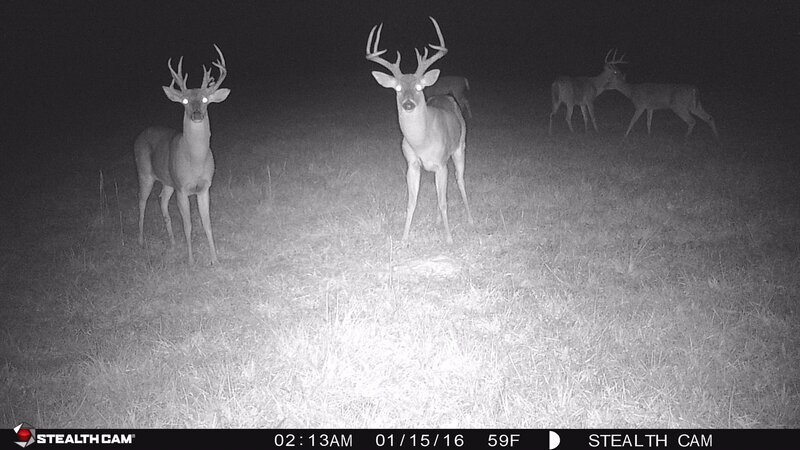 The deer on the left is a deer we are still looking for. We call him Torch. He was a 3 yr old in the picture. I’m guessing he will be 6 this year. We know he made it through at 4 and 5 but no pictures of him as we only have 80 acres on that side of the road. I killed the deer on the right 2 yrs ago at my house. 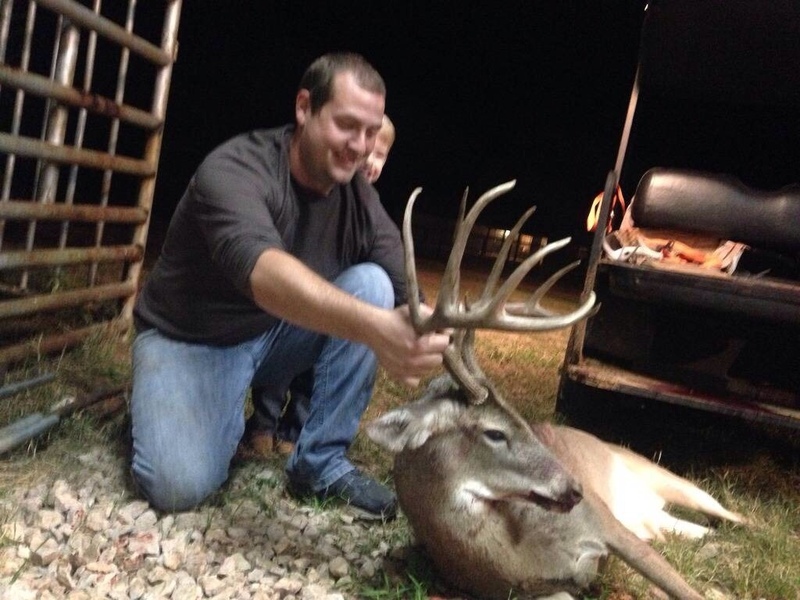 He scored in the 150’s, 143” as main frame 7 point. Incredible deer! Obviously you were putting the age on them and that's half the battle! Did you guys feed as well? We did some the last 5 years at our lease, but there is mostly just genetics and age. All those deer were 5 or older. I passed the 184 as a 4 yr old and one of the 160’s as well at 4. At the house we feed corn and soybeans 365 days a year and spring/fall plots. Just goes to show what age can do, even without feed or little feed if you'll just take a chance and let 'em roll. 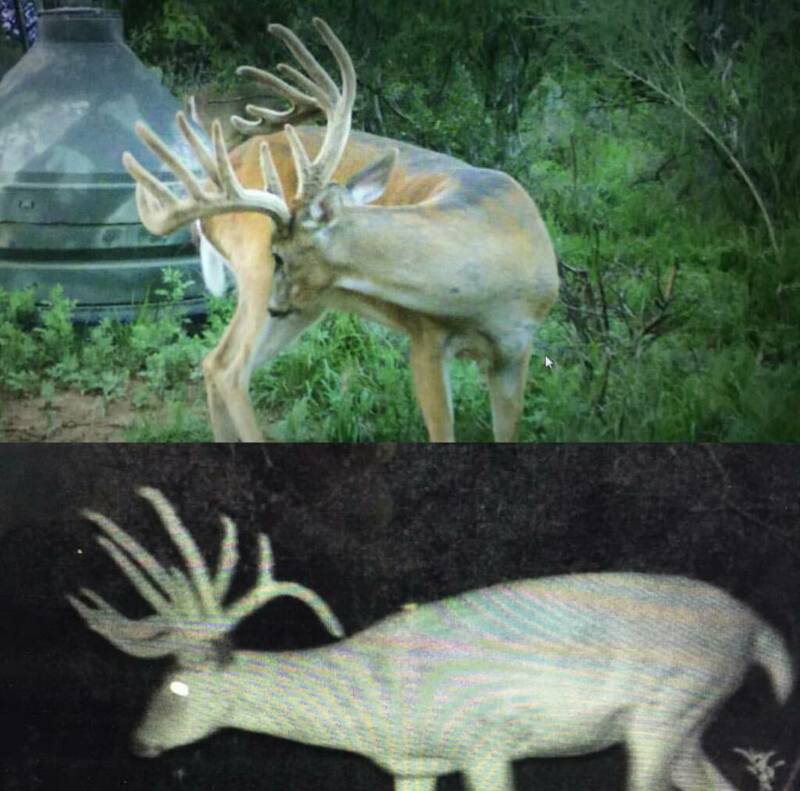 I'm very impressed you were able to grow that size of deer on 600 acres in probably one of the most poached area's in Texas. Hats off to you! I guess guys like Garguy and you both have proven it can be done. The bottom deer was our best deer to date. 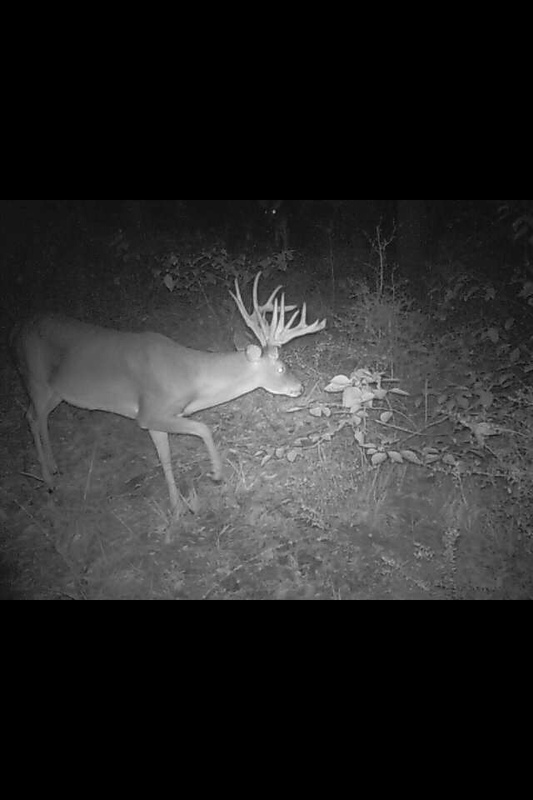 I had my target buck at 10 yards last night but he didn't come exactly where he needed to. The one I'm after is about a 145 10 point. Yes he was! I did not kill him but my buddy did. 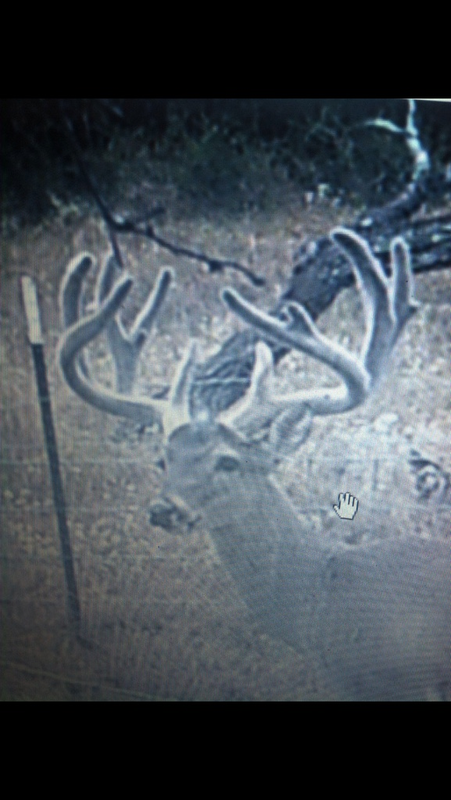 The other deer on the bottom is a 4 or 5 year old that needs one more year to peak. We've tried to get more into letting a deer peak than reach a certain age. 5.5 years is the minimum but we let certain deer go if we think they haven't reached their full potential. That bottom one is gonna be a toad! I certainly hope so. This was him last year, I cannot decide if he was a healthy 3 year old last year or a 4 year old. 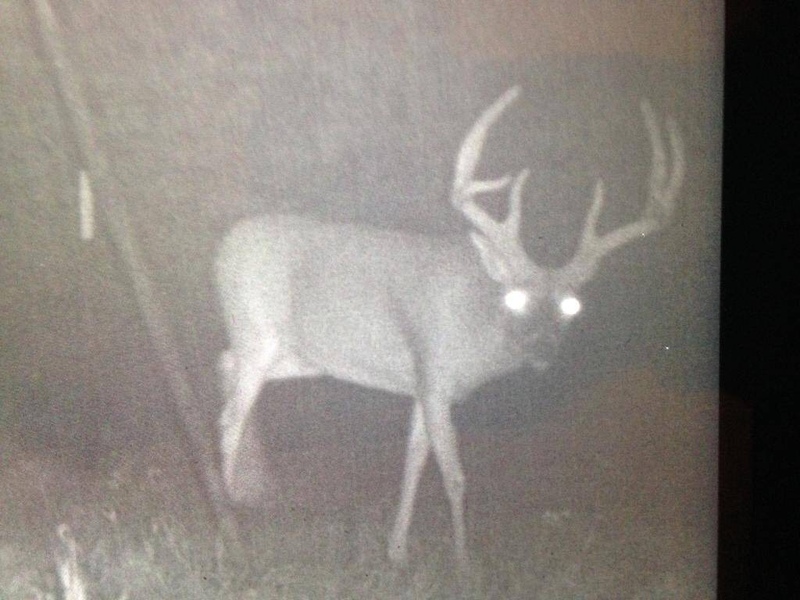 This year he's been hanging out with 4 year Olds and is a main frame 10 with a G2 kicker and 2 base kickers. His name is Potential since we were thinking he may turn into something. Definitely not my personal style either but I'm not gonna hate a man for doing it. To each their own. Man, those are some hosses! 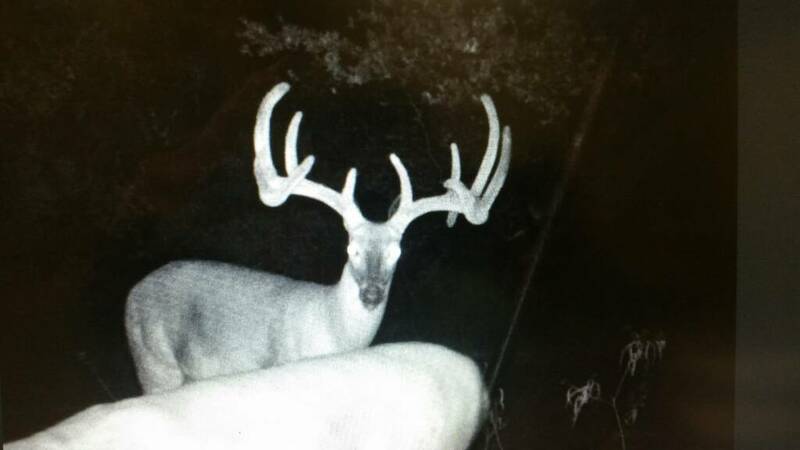 Those suburban bucks can get huge. I have had a HF 1000ac place with native deer Frio co. for 7yrs now. Protein feed at rate more than biologist recommended rates and winter wheat. 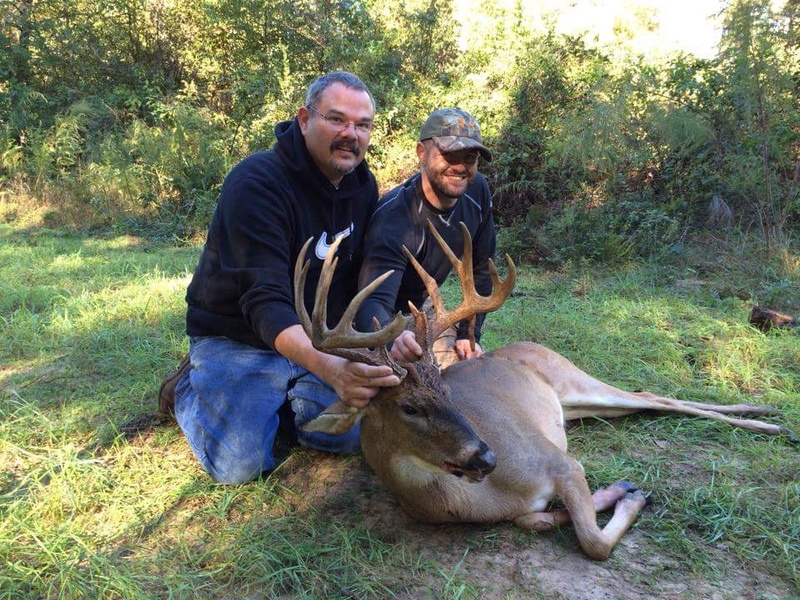 Largest buck we have killed to date is 159 5/8 gross, another 159 3/8 some 157,156,154,153 etc. we are letting the bucks get to 7.5, but see little to no jump from 5.5 to 7.5 even in mass. Native brouse hurts us on good years...deer do not eat as much protein on good brouse years and always have smaller racks as a result. 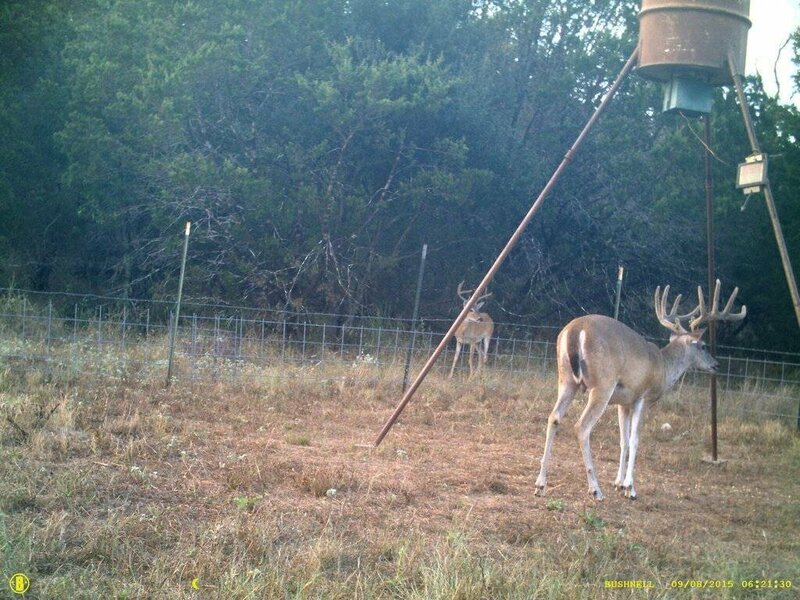 Biggest racks come on dry years when they have to eat protein 10-15" more. 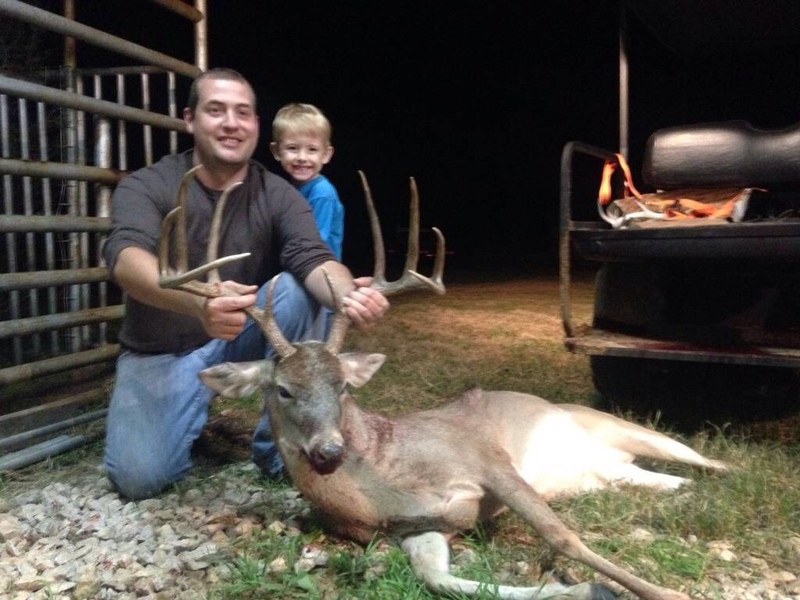 We also kill a lot of 7.5 -8.5 yr old 6, 7 and 8pt than score 120's, are avg. 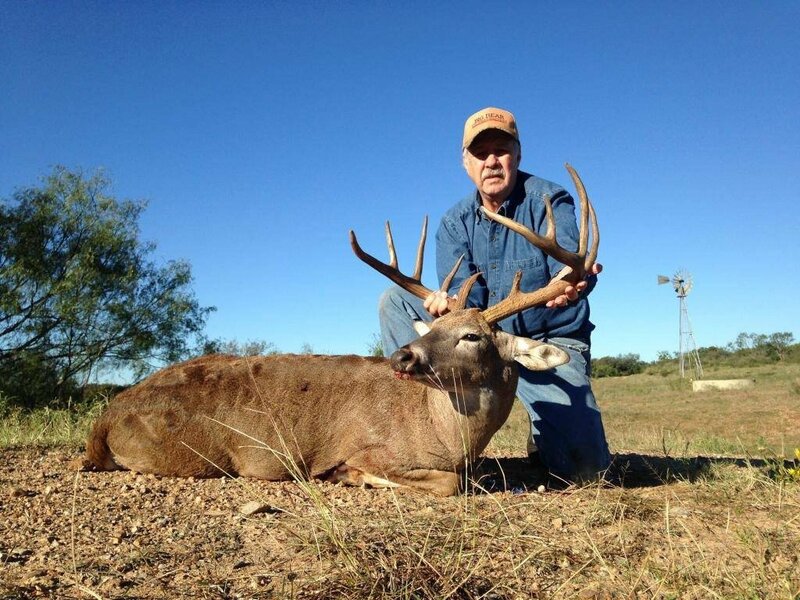 buck scores about 135'' thats 7.5yo all Frio co deer. 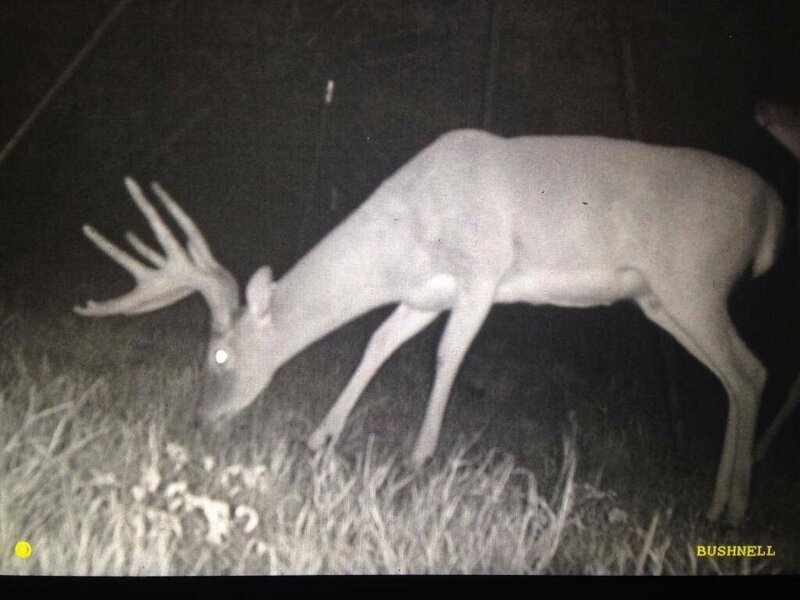 Some of are bucks weigh over 200lbs highest 228lb. 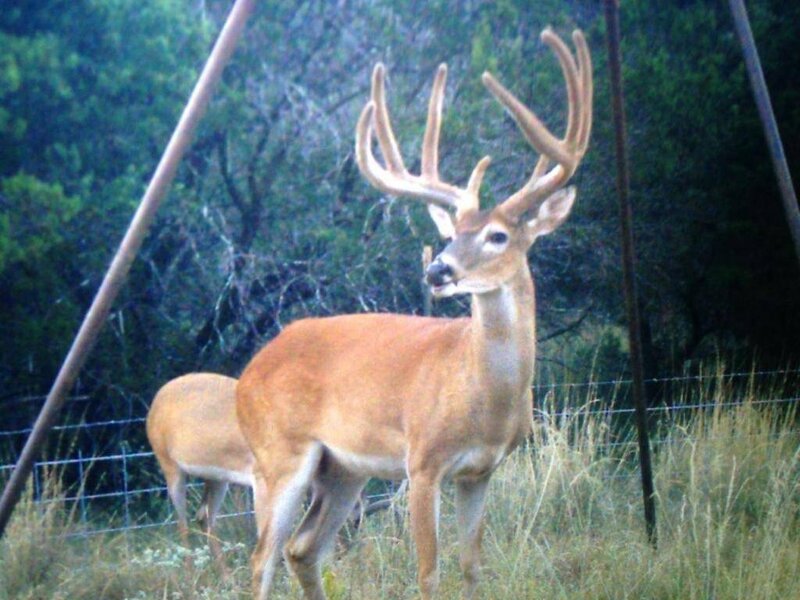 We have had some bucks that had best rack at 5.5 some at 6.5 but I think its more a product of health and food that year than age. 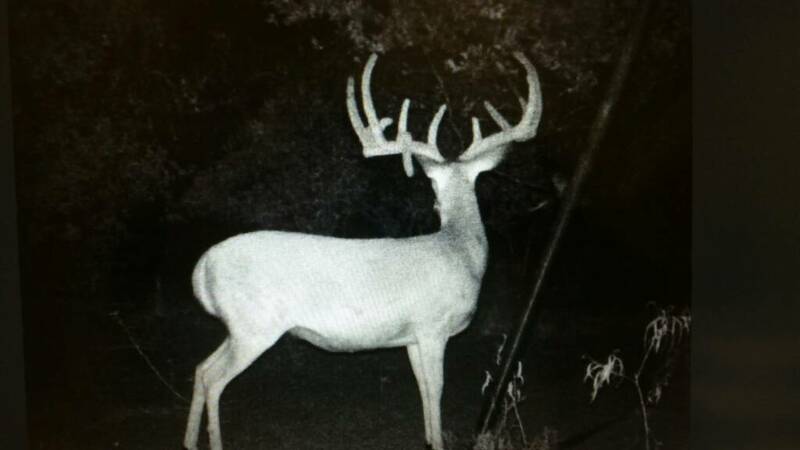 We had typ 12 at 5.5 that we think would of scored 167 thought for sure next yr he would break BC but next yr was only 153 still a 12, next yr 155, he is 8.5 now and looks only 153 but is 13pt and has lost tine length and mass. Moral of story is native deer have a ceiling.Age and food aren't the answer. Doesn't mean at some point a 170 wont hit our dirt, just shows how rare they are without genetic help. I'll have to agree to disagree with you bubba. Obviously all deer have a ceiling HF, LF no fence, genetic freaks or native they all have a point or threshold they cant cross no matter what you do for them. Obviously only God knows that number in each deer, we as stewards can only help to try and get them there. But to make a blank statement that " age and nutrition isn't the answer" is the exact opposite of my experience for the last 20 years. From Dimmit county to Old Mexico up and down the river I've personally seen what affects age and nutrition have done to the deer on the particular ranches I've hunted. Age more than anything. And those factors alone have created the giants in the past where I've hunted. It seems most, but obviously not all already have elevated genetics if allowed to express them. Gotcha. Definitely agree each place is different . And I have no clue what YMMV is? Try adding a cottonseed feeders next to your protein feeders. 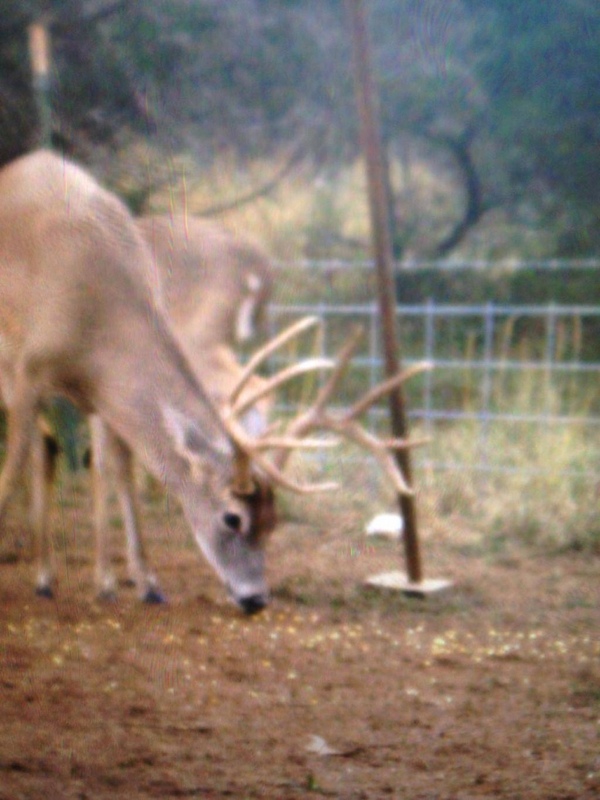 This will give the bachelor group of bucks all a chance to eat when they hit the feeder pens together. 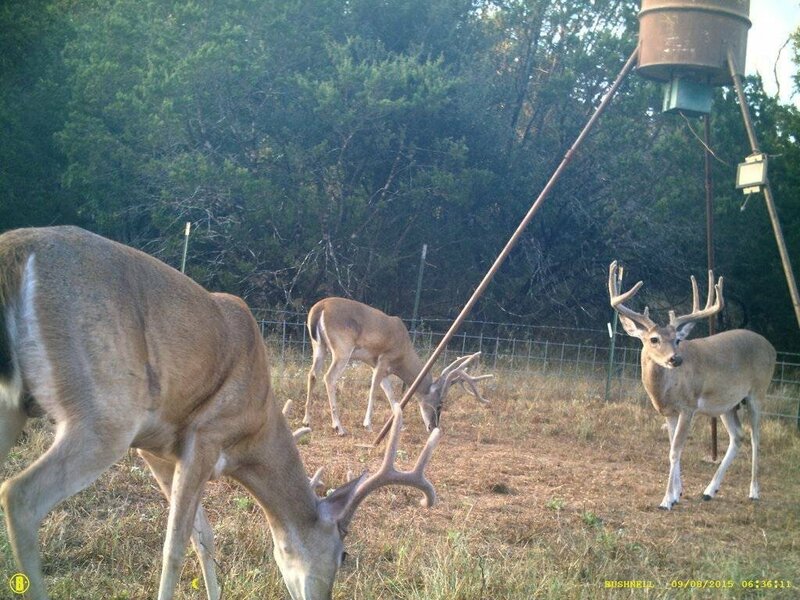 Most of the time a dominate buck will control the protein feeder and most of the bucks will not get to eat while there. 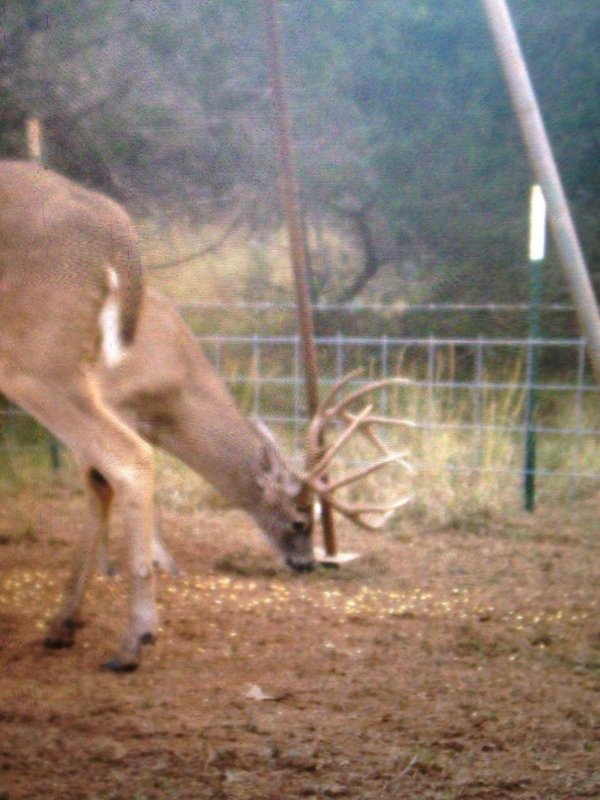 I guarantee your deer weights will go up if you start feeding cottonseed and protein together. 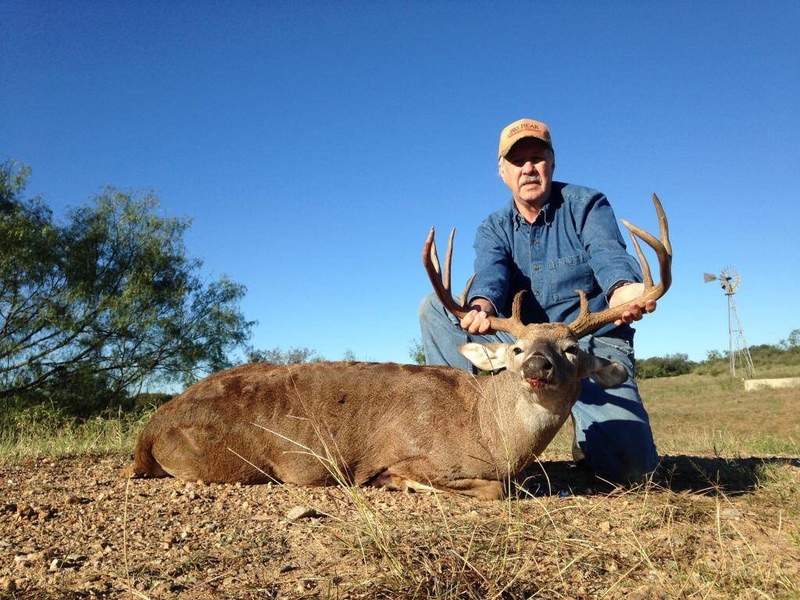 Plus healthier deer usually means higher scoring bucks. We are seeing a big difference after doing this just 2 years ago. I have to disagree on age and nutrition though. Those are the basic keys to any trophy type management program and normally the easiest to implement for a simple management plan. I’m bonkers about trying to grow huge low fence deer. I live on our family ranch which has amazing genetics. I watch deer 365 days a year. I feed protein and corn year round and plant soy beans most years. We just feed the heck out of them and pray they get old. Our neighbors are the biggest problem preventing us from having 170+ deer on most years. 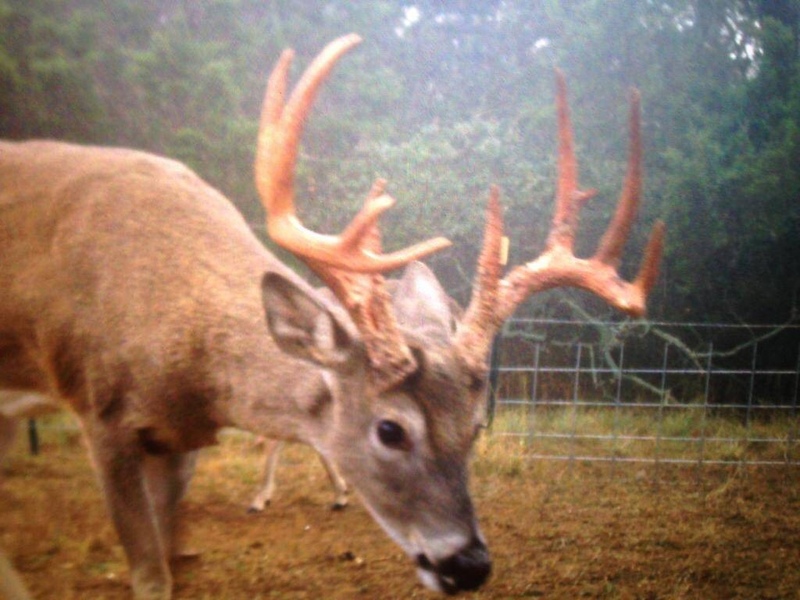 We are loaded with 130-150 class bucks but have had numerous ones break 160 up to 200”. I’d love to tell you that I have a magic recipe that gives us all the big bucks but I’d be lying if I said it was anything other than dumb luck. I wish more folks with big deer would admit that lol. 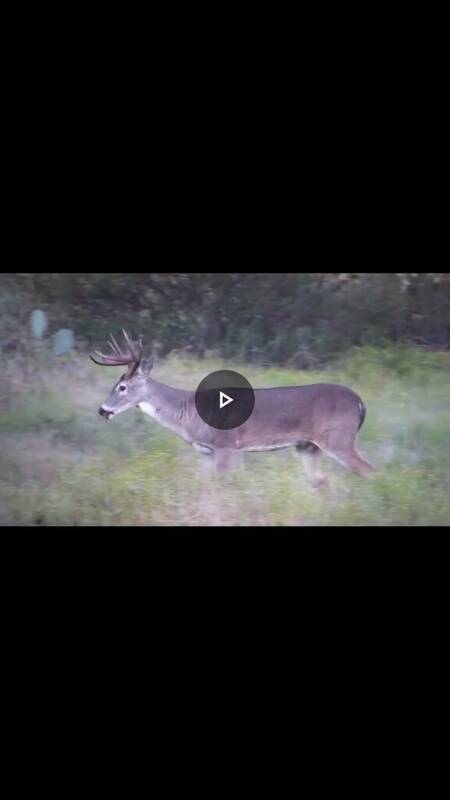 I find that I’d rather watch all the big bucks vs shooting them. I have had the opportunity to watch many of these deer from when they were very young...My wife finally told me last season that I had to shoot one of I couldn’t feed them anymore lol. I like your passion! and as much as I feel my strategy and management plans will work I agree 100 percent on dumb luck! I'll take all of it I can get... . So what did you shoot? Some pretty special looking specimans on this thread! It is good to see folks putting in the work and patience it takes to develop some fantastic deer. Great thread Shane! I shot a mid 150’s 6 year old that I had been watching for 4 years. Always bittersweet taking one that you’ve been following for years....but it’s always fun shooting big bucks with your bow. We tried to! Oh lord how we tried!! But the owners had different plans that included clearing all the underbrush leaving only the big oak trees. Their reasoning was they want to be able to SEE the deer when they were out there. That, and they slowly sold the place off bit by bit, and went up 150% on the price. DANG BiL you guys had some giants!! 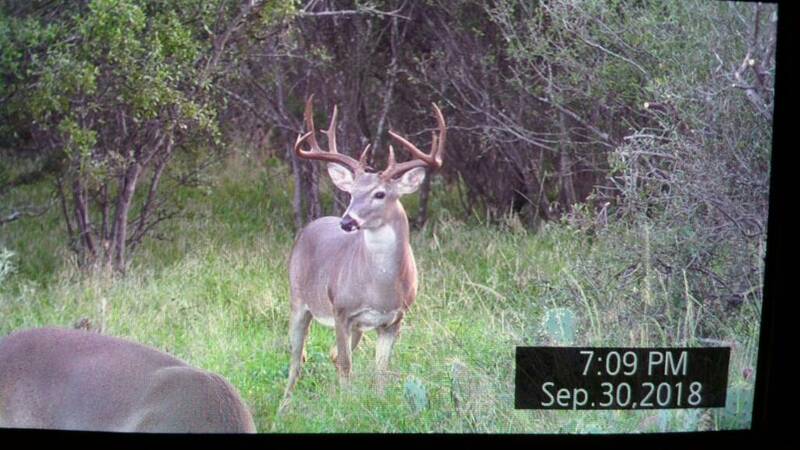 That split G-2 buck is a monster! Beams for dayzzzz! No worries on loosing it, you can always come hang out with me! We have been since 2011 on 840 acres in OK. Protien/plots year round. We have been going up each year on the plots. We are right at 40 acres this year but should have been at 55 but the pigs wear one of the fields out so we stopped trying to replant. My favorite thing is the food plots. Just learning all the no til practices and looking forward to using cover crops and trying new varieties out. finally got around to putting out some crimson clover like el gato does. We burn a little bit of the property every year. We have a lot of water on the place but I still want to have water in my feeder pens. Trap and kill as many hogs as possible. Trying to grow some trees. We have a few sanctuaries. We have had some great young deer get killed by neighbors but oh well it happens. We moved our cows to one part of our place to keep them away from the deer. We don’t shoot trophies every year because I always want them to get another year. Seems like I’m always saying can’t wait til next year. My goal is to grow giant deer. My dream is to kill a 200 off it one day. We only bowhunt deer/turkey. Only a few times a year we will use a gun to kill some pigs but I think this has helped out a lot with the deer feeling more safe. Been trying to get some cottonseed up around me but it’s hard to find. What’s a biologist recommended rate of protein? You bring up a very valid point in Sanctuaries. We have cows on 100 percent of our property so I'm not sure if we actually have a true sanctuary or not. We do have at least two 3 to 4 hundred acre plots on our place that see little to no human activity (and not hunted). The deer hold up in there nicely. I'd like to think they're sanctuaries but with cattle I dont know. Good luck on your 200 inch quest, I bet you accomplish it one day! I have my sights set alot lower at a 170 LF deer. What's do your trophies on the low fence side look like? 50s, 60s? Sounds like the perfect scenario with little pressure from your neighbors to grow some great deer! Exactly. With one in the 70's. When we got the place it was 40's-50's. But our avg for culls is up to. Our mgmt 8 pointers are consistently mid 30's and up. Had a 153" 8 killed a few yrs back. Congratulations! Sounds like you guys got it going on! 1 per 250 ac is what ours said. Full all the time? How many deer do you have? 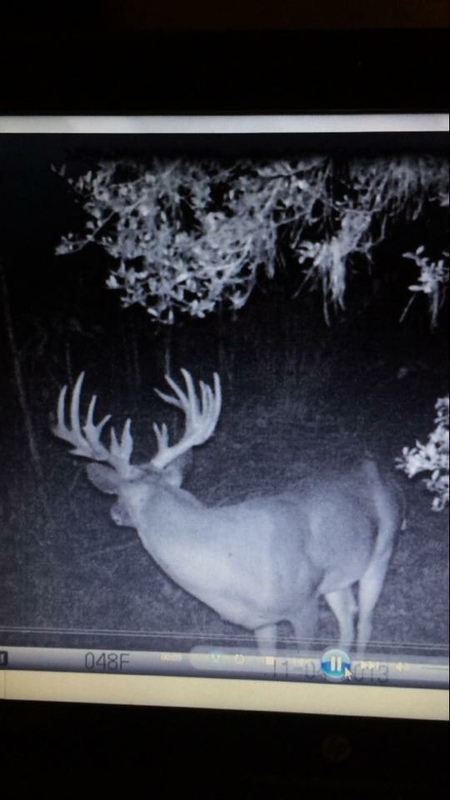 That's what makes this thread cool, you get to see what others have done or are doing in parts of the state where you would have never thought big deer were possible. 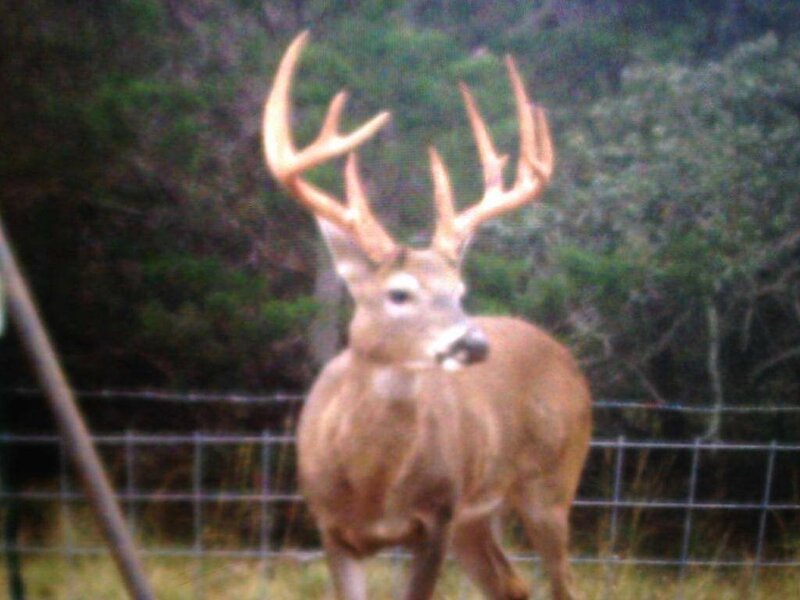 Even in my home coastal county of Brazoria there are some great deer being raised and harvested... I'm talking 160s! Unbelievable..
We have a couple sections in northwest Oklahoma. We are slowly getting there and trying to get to yalls level. We hope to install acres of food plots and greens like y’all do as well as add in the Free choice feeders. Our main thing is getting some equipment up there. We do have a 300 acre wheat field in the center of us but we have lots of sage country we’d like to get 5-10 acre plots in. Our goal will be a 200” deer one day. 178” is the top so far.